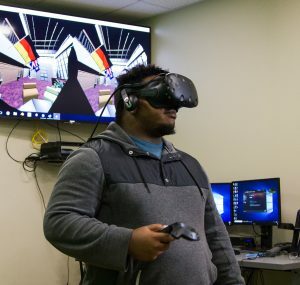 One of Payne’s favorite courses was a special topics course, DET 340: Game Engines, saying, “It provides you with a different aspect of what people look for in gaming … and the different perspectives towards it.” He liked that the class was less of a lecture and more of a conversation between not only the professor but also his peers. Donte’ remarked that some of the most enlightening conversations he has had have been with his fellow classmates. Since coming to ACU, Payne has been very involved on campus as well as in the department. He works for the Residential Life office, is president of the DET Club, works as a teacher’s assistant for Dr. Brian Burton, and helps throw events for Gamers Guild. Donte’ really enjoys all the chapel options available to the student body such as DET Chapel, Gamers Guild Chapel, and Midnight Worship. 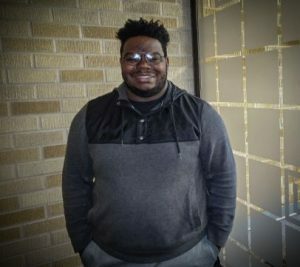 Since enrolling at ACU, Donte’ believes that every year, student life on campus gets better and better. Donte’ is set to graduate this May and is hoping to intern with Pixar but is also exploring master’s degree programs for animation. Want to know more about the DET major or the School of Information Technology and Computing? Click here to learn more.